As of the 20th May 2018, most vehicles manufactured or first registered over 40 years ago will be exempt from MoT testing unless they have been substantially changed. So, what are the changes and what do you need to do? MoT exemption has been available for vehicles that were first registered before 1960 for some time now, but this exemption will change and operate on a rolling 40-year basis. That means that most cars first registered before 20 May 1978 will no longer need an MoT once the new regulations come into effect. The new rules apply to any car first registered more than 40 years ago with some exceptions, i.e. if the car has been substantially changed, which we will explain below. A vehicle that has been substantially changed within the previous 30 years will have to be submitted for annual MoT testing. Engine changes, although alternative cubic capacities of the same basic engine and alternative original equipment engines are not considered a substantial change. Changes to axles and running gear to improve efficiency, safety or environmental performance. If your vehicle is over 40 years old and you wish to apply for MoT exemption, you will need to declare Vehicle of Historic Interest (VHI) status when you apply for Vehicle Exercise Duty (VED) by completing the V112 Form or online. 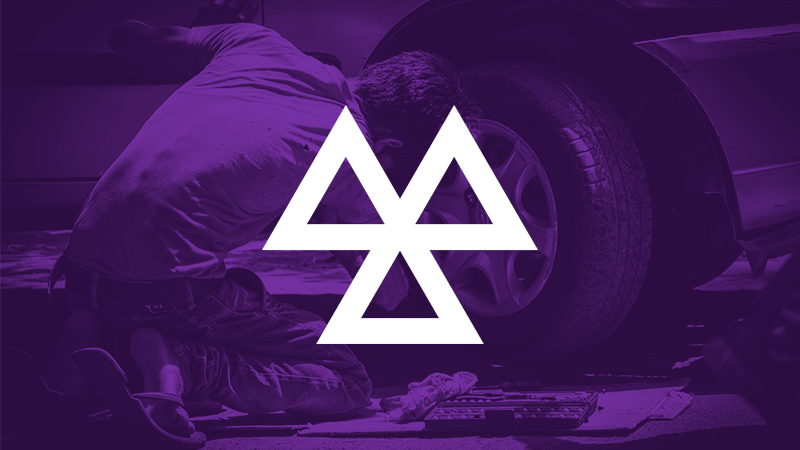 If your vehicle does not have a current MoT certificate and is exempt from needing an MoT test, you will need to declare this each time you apply for VED. But first you will need to check whether your vehicle has been substantially altered in the last 30 years, according to the criteria above, to make the declaration. If it has been substantially altered, a valid MoT certificate will be required for its use on public roads from the 20th May, even if the vehicle has previously not required an MoT. If your 40-year-old vehicle is not registered as a VHI or it has been substantially changed, you’ll still need an MoT to keep driving it. The Federation of British Historic Vehicle Clubs advise that if you consider that you will not be able to make the required declaration that your vehicle is a VHI, you ought to have a valid MoT certificate, at the latest before the re-licensing date for the vehicle arises. So, for example, if you own a 1959 Ford 100E with a carburetted Zetec engine, different to its original running engine, you’ll now need an MoT to be able to drive it on public roads. It is down to you to declare you have a VHI to be exempt from MoT testing. If at the time of next licence renewal, a declaration as a VHI is not made, the requirement for an MoT will reappear on the DVLA record. It is worth noting that the registration number of a vehicle should not be used to determine if the vehicle is a VHI as it may not reflect the vehicles true age (in the case of cherished transfers, reconstructed classics etc). Keepers of vehicles over 40 years old can still voluntarily submit vehicles for testing. What else is not exempt? A reconstructed classic as defined by the DVLA. However, in each of these four cases, if your vehicle is taxed as a historic vehicle and hasn’t been substantially modified in the past 30 years, it can still be considered as a VHI. Dangerous – faults and defects that deem the vehicle non-road worthy and make the vehicle illegal to be driven in its current condition. In addition to the new categories, other components of the vehicle will be checked under the new test. Components such as steering, anti-theft devices, noise suppression systems, fog lamps and daytime running lamps will also be checked during the MoT. Rigorous checks will be carried out on exhaust emissions on diesel cars fitted with a diesel particulate filter (DPF) that produce “visible smoke of any colour”. If smoke is produced, the car will be given an automatic ‘Major’ fault and will fail the test. While we will not require exempt vehicles to have an MoT, you still need to keep the vehicle in a roadworthy condition and can voluntarily have an MoT test. We recommend continued regular maintenance and checks of the vehicle. We would also like to reiterate that it is down to the policyholder/vehicle owner to have the vehicle registered correctly with DVLA. If the vehicle is listed correctly as VHI and is MOT exempt then there will not be an insurance requirement to have a current MoT on your vehicle with Classicline’s branded products. If in doubt please seek advice from DVLA. If at the time of next licence renewal, a declaration as a VHI is not made, the requirement for an MoT will reappear on the DVLA record. So, for the time being, we are still able to enjoy driving our classics on Britain’s roads. The Department for Transport will almost certainly bring in new legislation over the coming decades that will affect all classic car owners and enthusiasts. Other DfT consultations like the recent consultation, Road Vehicles – Improving Air Quality and Safety, are likely to become more frequent. British motoring enthusiasts should be very thankful that we have a recognised taskforce that exists to uphold our freedom to use historic vehicles on the road. The Federation of British Historic Vehicle Clubs, together with lobbying groups from the UK’s hotrod, kit car and VW scene, along with backing from Sir Greg Knight MP of the All-Party Parliamentary Historic Vehicles Group, presented a strong response giving justification how this recent consultation, if it came into law, would affect not just individual enthusiasts but a whole wider industry. We are pleased to confirm that at the time of writing this article, the section concerning Kit Cars needing to be assessed for emissions alongside brand new cars has been dropped. The above article is correct as of 10th May 2018. For updates and full details, please visit the links listed below.